We welcome applications for NTICVA UK Visiting Fellowships, UK Travel Awards, India Travel Awards and Small Study and Research Grants. We also welcome applications for awards from the Jain Art Fund of the V&A in the same categories. It is with great sadness that we report that our former Chairman, General Om Prakash Malhotra, passed away in Gurgaon on Tuesday 29 December 2015, aged 93. Applications are welcomed for all categories of awards for the year 1 April 2016 to 31 March 2017, Please look at the Awards pages for details of the awards and for our application forms. Many congratulations to all those who have been granted awards for the 2015-16 year. We are delighted to announce the election of Ambassador Ajai Malhotra IFS (Retd) as Chairman of the NTICVA. Applications may now be made to the NTICVA for the year 1 April 2015 to 31 March 2016. We are delighted to welcome Ms Ritu Singh to the Trust as Executive Secretary. The Trustees wish to record their very warm thanks and tribute to Mr Roshan Lal Piplani, for his 25 years of dedicated service to the NTICVA. The deadline for Research Scholarship applications to INTACH, The Indian National Trust for Art and Cultural Heritage has been extended to 5.00pm on the 8 December 2014. Click through for news and information about our alumni and the projects they are now working on. Congratulations to all award winners. Click through for the winners and summaries of their projects. 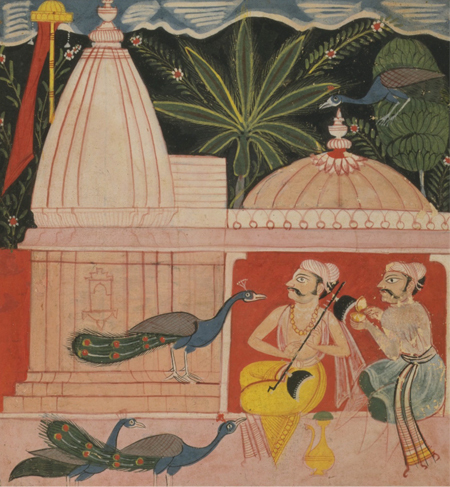 The final nine paintings by the celebrated Indian artist, M.F. Husain on public display at the Victoria & Albert Museum this summer. Nehru Trustee Professor Romila Thapar discusses how the world has changed for women in the last eight decades. In no single arena has the world altered so much and in such myriad ways.